Researchers found both real swords and toy swords, presumably used by Roman children, that are nearly 2,000 years old. Vindolanda TrustAn archaeologist holding his remarkable find. 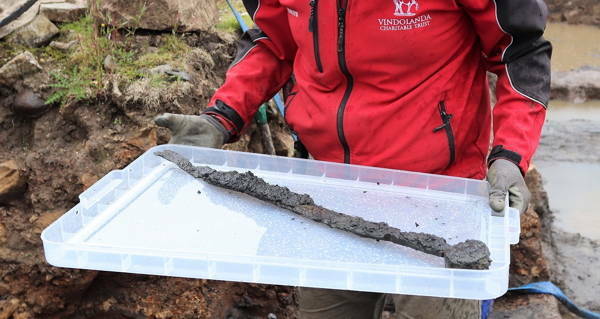 Excavators discovered a pair of ancient Roman swords, as well as several wooden toy swords, at the Vindolanda fort on Hadrian’s Wall, according to the Vindolanda Trust. 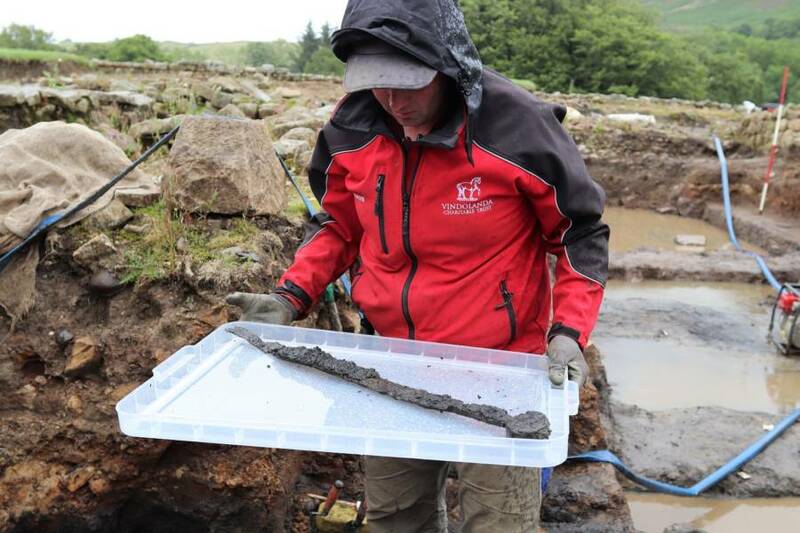 The swords were uncovered during an excavation of a Roman cavalry barrack at Vindolanda. The first sword, which was discovered in a living room by volunteer Rupert Bainbridge, had a bent tip, which, according to the Vindolanda Trust, is the “ancient equivalent of a modern soldier abandoning a malfunctioning rifle.” The second sword was found a few weeks later in a neighboring room, with its blade intact but without a handle, pommel, or scabbard. One theory put forth by the Vindolanda Trust is that the sword was left behind when the garrison was forced to abandon the barrack in a hurry. The findings are set to go on display in Vindolanda Museum sometime in the fall. Other items were found in the barrack as well, including knives and arrowheads, plus less militaristic items such as leather shoes. All of the findings are believed to be from approximately 120 A.D., when the fort was thought to house around 1,000 people. According to Vindolanda’s official website, the fort was built before Hadrian’s Wall itself, sometime in the 70s A.D., but later became an important base of support after the wall was built. It remained in use throughout the Roman occupation of Britain and for a few centuries after, before finally being abandoned in the ninth century. Excavations at the site are ongoing and continue to shed light on life in Roman Britain. Next, check out these photos of a newly opened 3,500-year-old Egyptian tomb. Then, read up on the newly unearthed Viking warrior who turned out to be a woman.